Recession? What recession? The slowing economy has in fact been providing some great real estate opportunities for the wealthy, and it certainly has not changed their lifestyle. The proof is in the numbers. It will come as no surprise that the 3 most expensive real estate transactions this year took place in the most exclusive Staten Island neighborhood, called Todt Hill – a neighborhood that is not only known for being the highest natural point in the five boroughs of New York City, but also for its sky high prices for custom made homes. 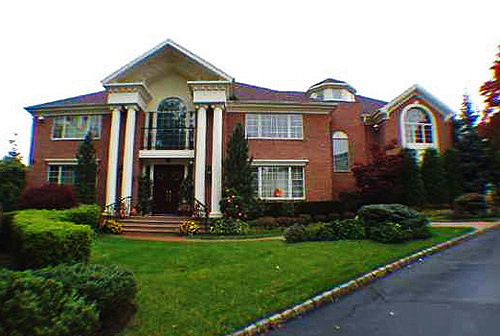 Without further ado, I present to you the Top 3 Most Expensive Staten Island Homes Sold in 2011 (don’t be jealous). This stunning colonial with European flair is situated on superb park like lot. The detailed and customized interior features high-end amenities including 6 bedrooms, 11 bathrooms, 4 fireplaces, home theater, library, gym, several terraces overlooking the pool area and perfectly manicured gardens, and of course an elevator for convenient access to all floors. One look at this home and you get the feeling of a special inviting space with an old world charm. This beautiful all brick mansion features well appointed rooms with many amenities. The structural columns on the front porch add drama and are sure to impress anyone who approaches the entryway. The formal rooms are to the right and left of the open two-story foyer. Designed with entertainment in mind the house offers 2 family rooms, banquet size dining room, formal living room, gourmet kitchen, butler’s pantry, home theater and much more. 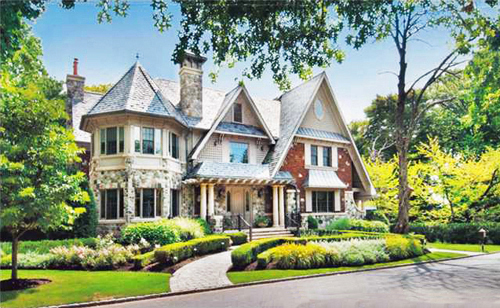 Here’s a look at the 3rd home that rounds up our list of Top 3 Most Expensive Staten Island Homes Sold in 2011. This spacious home is a fine example of quality craftsmanship. The overall design of the house is traditional, combining rich fabrics and textures. There’s no doubt the new owners will have plenty of space to entertain family and friends inside this timeless classic. All information and photos are courtesy of the Staten Island Board of REALTORS®, our multiple listings service.